Smooth, continuous entertainment experience is what we all enjoy. Interruptions, in1 any form, are annoying, to say the least. Kodi is an entertainment tool used by millions around the world to stream on-demand, high-quality content mostly for free. While this platform bridges the gap between millions of online streamers and thousands of streaming sources, Kodi buffering issues aren’t exactly uncommon. As more and more streams get added unchecked, Kodi buffering problems become more prevalent. Fortunately, there are some solutions that can fix Kodi buffering issues on Kodi 18.1/18.0 and Kodi 17.6, or at least reduce the instances. And, these fixes are easy to apply too. Keep reading! Kodi is an extensively popular media-player among the cord-cutters worldwide. Developed by XBMC, this app instantly converts your device into a media center. Not only does it let you play and cast the locally stored media, through various add-ons and builds, it also allows you to stream free and abundantly available content over the web. What’s even more incredible is that this service is supported by a wide range of platforms including Fire TV Stick, Android, iOS, Windows Mobile, Windows PC, Mac OS, and Linux. Kodi is undeniably great but has its own set of problems. Some find it harder to set up as compared to other services like Plex. What I have figured is that once you wrap your head around the Kodi, there is a fair chance you will not like any other media player. Though, that’s not the only aspect I had in mind while talking about this platform’s problems. What plagues Kodi the most is the buffering issues. Nothing could be more frustrating than the frequent interruptions while watching your favorite movie or TV show. Fortunately, there are several ways to rectify the Kodi buffering issues or minimize them. In this guide, we will learn how to fix buffering on Kodi Leia 18 and Kodi Krypton 17.6. Keep reading! Before we proceed, there is one little thing to be taken care of. Kodi is designed to provide safe entertainment experience. It uses many security features and protocols to this end. To prevent unsafe builds and add-ons to from sneaking in, by default Kodi does not permit installation from unknown, third-party sources. But, not all the third-party add-ons are unsafe, especially not the ones we are going to learn about in this guide ahead. Step 1: Click the Settings (cog icon) on the top right on Kodi home screen. Step 3: Click ‘Add-ons’ on the left and then move the ‘Unknown Sources’ toggle/switch to right to enable it. That will be it! 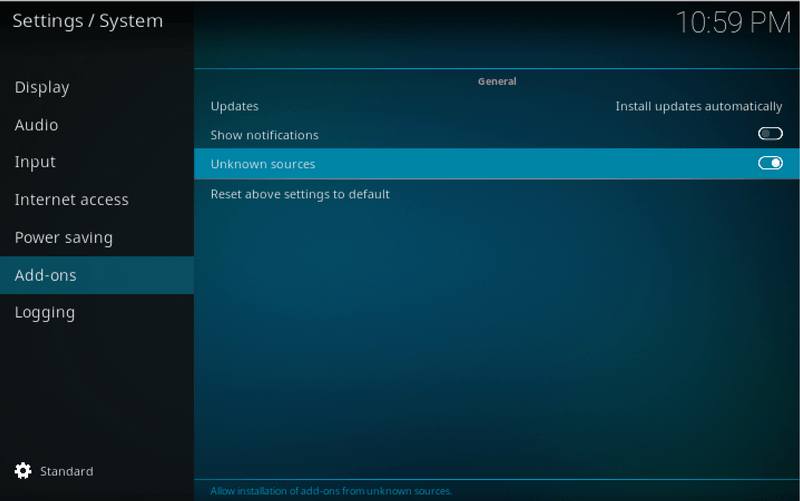 Make sure you disable Unknown Sources once you have installed all the desired add-ons. Which Platforms Do These Methods Work On? Kodi uses the same interface across all platforms and devices (except for a few platform-specific additions). Whether you are looking to fix Windows, Android, iOS or Amazon Fire Stick Kodi buffering issues, the methods below will work the same way. Cache is an auxiliary memory that aids the high-speed retrieval. While cache is used extensively in the world of computers, in video streaming or playback it is the video cache that is most important. When you stream a video over the internet, the entire video is not downloaded in your browser or app at once. Instead, a small portion of the video is cached and stored in a temporary location (usually device RAM). You must have noticed that while streaming a video if you lose the internet connection, the video continues to play for a while before stopping. The video that plays even after losing internet is what has been cached on the local system. In order to mitigate Kodi buffering issues, two things need to be taken care of. Firstly, you need to allocate substantial cache memory to Kodi in RAM. Secondly, you must keep clearing cache on Kodi from the previously played videos as it unnecessarily eats up the allocated space. 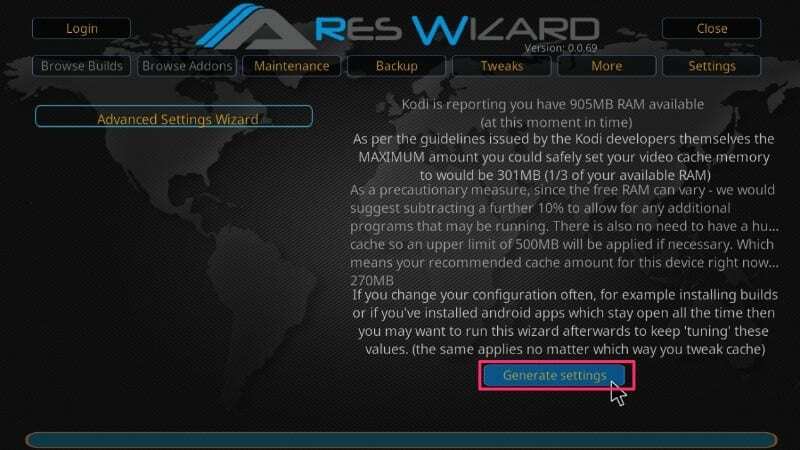 In the following text, we will learn to change Kodi buffer settings to accommodate optimal Cache space and also understand how to clear cache in Kodi. There are five methods to fix Kodi buffering issues. Methods 1 to 4 will work on all the devices including Amazon Fire TV / Stick, while method 5 doesn’t work for FireStick. 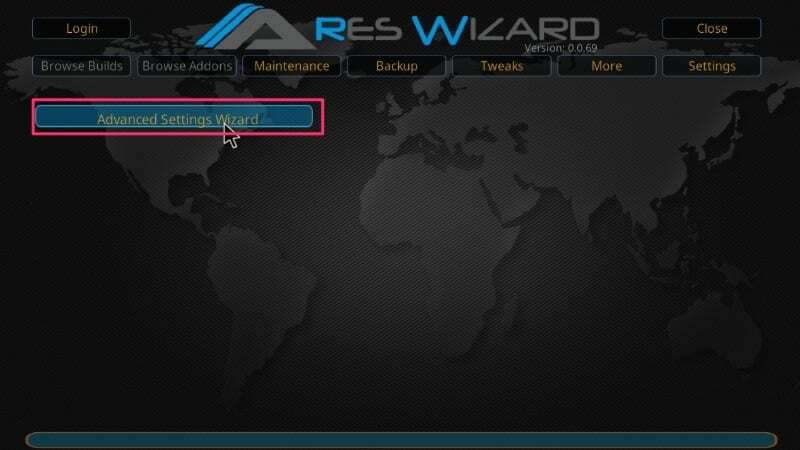 Ares Wizard is one of the most widely used Kodi maintenance and diagnostic tools. 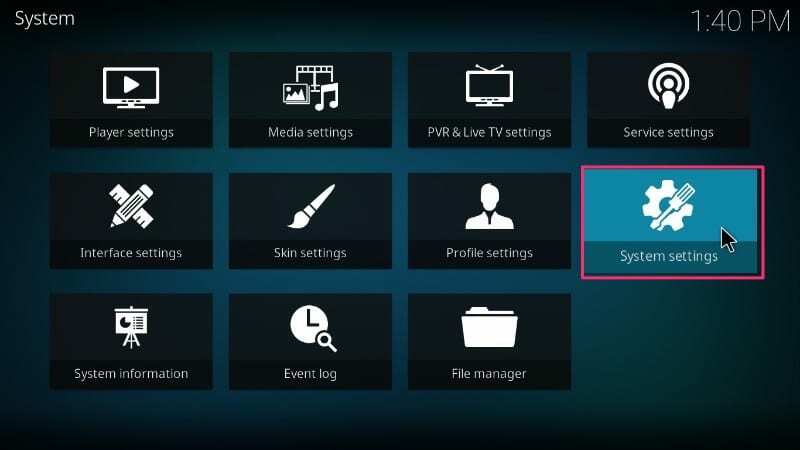 Let’s learn how to use this tool to tweak cache settings and resolve Kodi buffering problem. 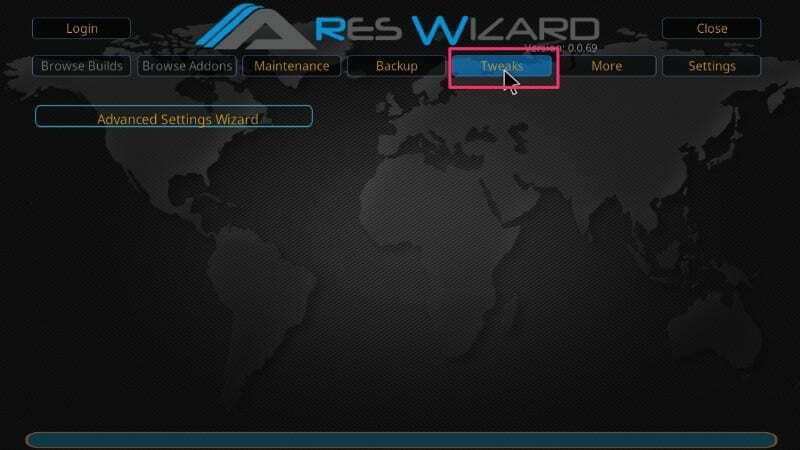 But before we go ahead, please install Ares Wizard on Kodi. 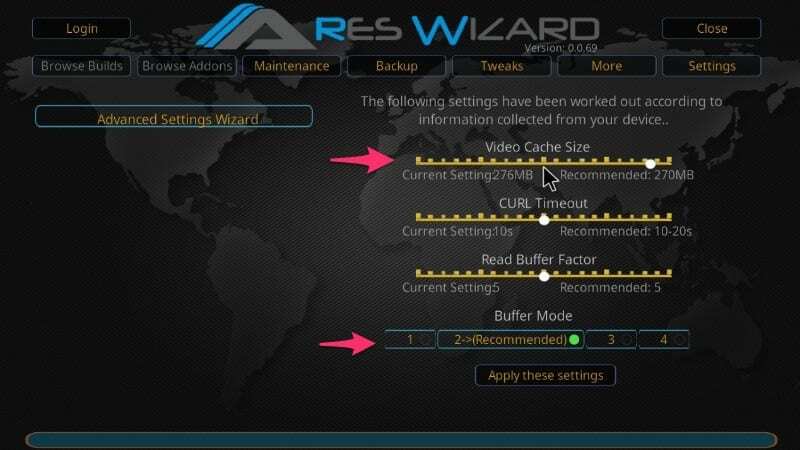 Now that you have installed Ares Wizard, let’s see how we can fix Kodi buffering problem by optimizing the cache. There is the ‘Next’ button on the bottom right you to need to click. But, before you do, do not forget to read the word of ‘Caution’ from the developers of this add-on. If Kodi keeps freezing or crashing regularly, there is a fair chance you have run out of the storage space. This usually happens with devices with low storage. For instance, if you have a handheld Android device with, say, 16 GB storage and you use Kodi regularly with various add-ons, you may soon find yourself short of storage memory. Besides finding the Kodi buffering fix, it will be worth your while to resolve this issue as well to have a smoother, more desirable entertainment experience. As I had recently deleted Thumbnails and Packages, the space they are occupying on my storage is less. But, together they were eating up nearly 1 GB of space. If you have any stored/saved Caches they also take a lot of space. You can clear cache on Kodi and free up the storage space substantially. Do not worry though! Deleting cache will not affect the settings we just talked about in the section above. Most Internet Service Providers (ISPs) make lofty claims about providing high-speed, unlimited internet services to its customers. While their promises are kept for most average users, the heavy streamers are often affected by bandwidth throttling. That may or may not be illegal depending on your country. Also, sometimes they have some clauses in fine prints the Terms & Conditions that we accept without even giving it a look; well that’s what most of us do. ISP throttling is actually curtailing or restricting the internet speed when a particular user has crossed the certain limit of data usage. This, as I already said, usually happens to the heavy users. If you are someone who loves to watch movies and shows online using services like Kodi, you might just as well fall into their bracket of heavy users. The legal aspects of throttling are becoming more and more obscure ever since it was declared a few months ago that Net Neutrality will be killed in the United States in the coming time. Well, using a VPN is the best way to prevent internet throttling and to avoid Kodi buffering issues to a great extent. A good VPN service does more than just concealing your identity in the web world. It also masks your data usage details from your ISP. In simple words, if you are using VPN your ISP will no longer be able to see what kind of data you are using. They would only be able to determine the amount of data being used. It has been reported by several users worldwide that throttling is affecting those the most that stream videos, download from torrents, and share heavy files over the web. With a VPN in place, you will have no reason to worry about ISP throttling. 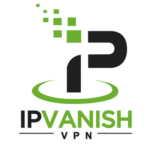 Below is the table of top 5 VPNs in the industry. I personally use ExpressVPN which is the fastest VPN on the date. 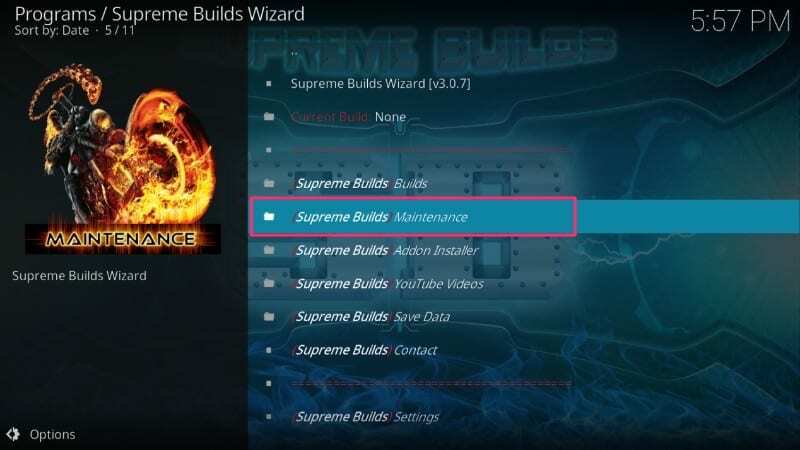 Supreme Builds Wizard is another popular maintenance tool for Kodi. Let’s learn more about it. 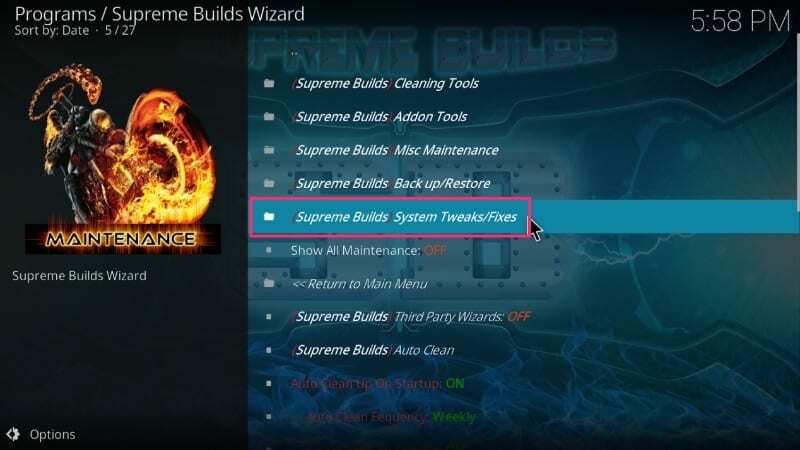 First, run the Supreme Builds Wizard from the home screen or from Add-ons > Program Add-ons. If you don’t have it yet, here’s how to install Supreme Builds Wizard on Kodi. Step 6: If you see any error message asking whether you wish to remove an active AdvancedSettings.xml file, click ‘Remove Settings’. In case you are using Supreme Builds Wizard for the first time to update these settings, you will not see this warning message. You may have noticed that in spite of an extremely fast internet connection, many Kodi streams often run into buffering issues. This leaves us baffled wondering whether there is a problem with the allotted speed of the internet or the streaming server. If you have a high-speed internet connection, there is a fair chance it is being underutilized by Kodi while streaming your favorite content. Only if the internet could be used to its full speed potential, we will have a much better Kodi experience. This is where Real Debrid comes into the picture. Real Debrid is a multihoster that offers you access to the whole new collection of quality streams for the content you wish to watch. It adds new 1080, Full HD streams that other hosts fail to provide. At the same time, Real Debrid is also an unrestricted downloader. If not fully, it can utilize up to 80-90% of your original internet speed with connections of up to 300 Mbps. That’s nothing less than impressive. 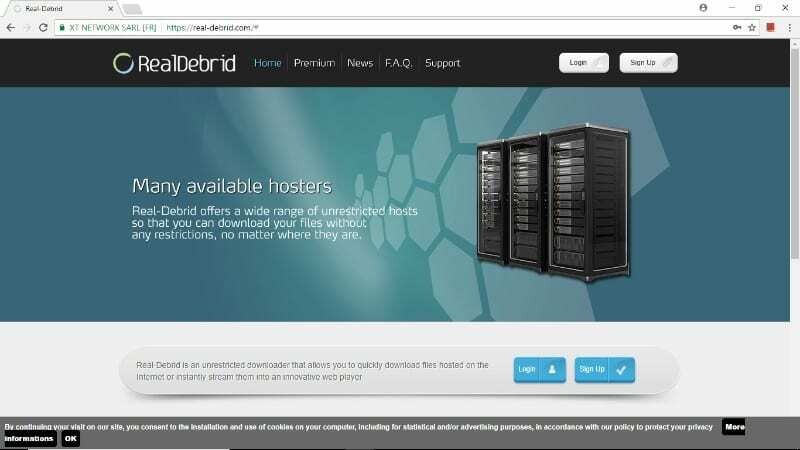 There are a few things you would like to know about Real-Debrid. First of all, It is NOT an add-on, but it works with other popular add-ons. You will need to have one of the compatible add-ons in order for Real Debrid to work. The good news is that it is supported by a wide range of popular (and even not so popular) add-ons including Exodus Redux, Seren, Yoda, Gaia, and more. Real-Debrid is not free. It is a premium service. You can sign up for free and use the limited-featured service as a trial. The free service doesn’t have as many full HD streams and the speed optimization is also not so great. Also, Real-Debrid streams are available only for a few hours during the day if you are using the free service. The real potential of Real-Debrid is unlocked with the premium subscription. You can get rid of most of your Kodi buffering problems by using one of the many Real Debrid streams. If you are going month by month, this service will cost you approximately $5 per month. You can opt for a longer duration plan and save money. So, how can we get Real Debrid on Kodi? In this method, we will plant a file with a specific file name and specific codes into the userdata folder inside Kodi’s installation folder on your system. If Kodi keeps buffering even after following the methods above, there is a good chance you may see significant improvement after completing this troubleshooting process. While this method may seem a little technical, I will try to make as simple as possible. Just follow each step carefully. You will not even have to launch Kodi. Step 4: Again press Windows + R key to bring up the Run dialogue box and copy the following into it: %APPDATA%\kodi\userdata and now press Enter. Step 5: The above step will open a folder. Copy the advancedsettings.xml file that you created a little while back, into this folder. Step 6: Go ahead and play a video with Kodi. You will notice that Kodi buffering issues have been resolved to a considerable level. Just like Windows, the idea is to copy the advancedsettings.xml file into the userdata folder of the device. The folder location, however, varies across devices. Regardless of the device or platform using, first create a file named advancedsettings.xml with the code given above. The reason why I have a special section for Exodus Redux, MC 1080p, Rising Tides is that they are one of the best Kodi addons and are used by thousands worldwide. They have a huge collection of content and offer high-quality live TV streaming. If you don’t have these addons yet, you can install them by following the links below. The methods I outlined above to fix buffering on Kodi are the common steps and should be performed by all users. The steps I am showing below for the Covenant, Exodus, and Sportsdevil are additional steps that you can perform for any Addon. Also, the steps can be performed on any device including Amazon Fire TV Stick. Step 1: Open the addon by navigating to Kodi Home Screen > Add-ons > Video Add-ons. Step 2: Scroll down and click ‘Tools’. 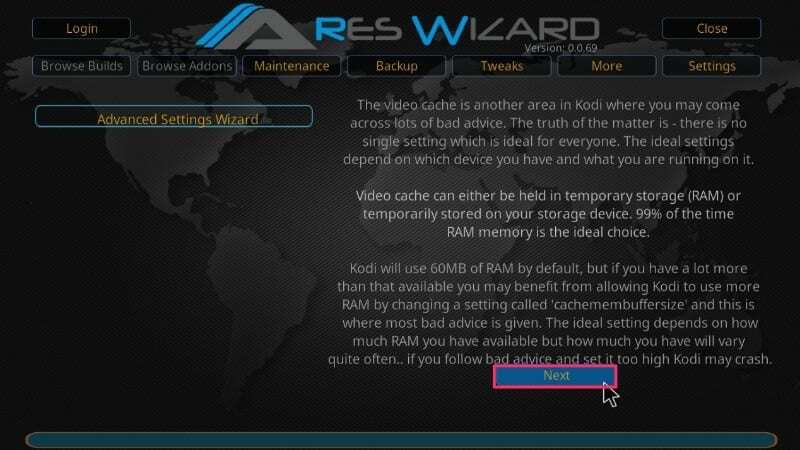 Step 4: Click ‘Yes’ to confirm your action and to clear Kodi cache for covenant. This should work for most addons. 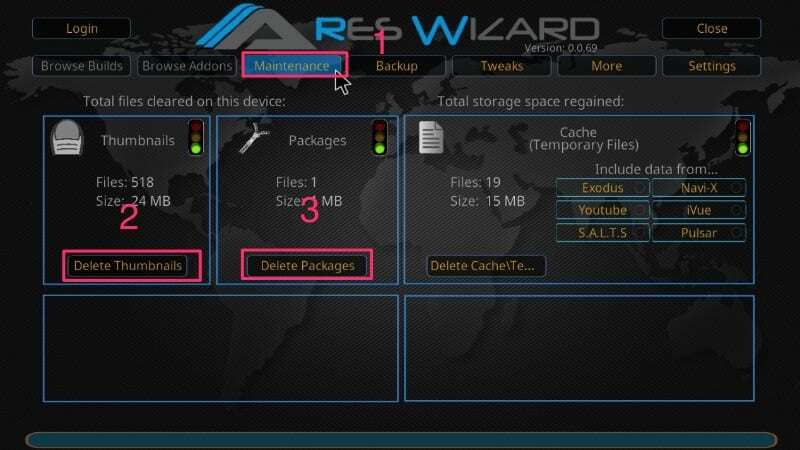 If you don’t find the option to clear cache within the addon, you can always use the Ares Wizard method as provided above. There are a few factors that determine how quickly (or slowly) Kodi buffers the playback. Let’s take a look at what may cause Kodi problems. We like to stream our favorite shows and movies in high quality. Most of us prefer at least 720p HD streaming. The higher the quality of streaming the bigger is its size. This is why you need the internet connection fast enough to support smooth, uninterrupted streaming. Netflix recommends a minimum 0.5 Megabits per second internet speed, whether through cellular data or Wi-Fi. But, practically, the minimum speed isn’t good enough for most streaming qualities. It is highly recommended that you have at least 5 Megabits per second internet connection. That should be able to stream your SD videos without the nagging buffering troubles. If you like to stream HD or Ultra HD then at least 20-30 Megabits per second is advisable. Thankfully, most ISPs have started providing high-speed internet good enough to stream content in a wide resolution range. Of course, as aforementioned, by using VPN you can also avoid ISP throttling. There are a number of websites and apps on which you can test the internet connection bandwidth. www.speedtest.net by Ookla is the most popular but there are many more that also provide accurate download and upload speed data (it’s the download speed that affects buffering speed). What if I have a fast internet and still the problem persists? If you have high-speed internet and have taken care of everything we have talked about in this section, then, of course, you will want to try one of the troubleshooting methods we have laid out above. If you are not getting the internet speed according to the internet plan you have opted for, you may also want to contact your ISP customer service. There are things we can control or improve and then there are somethings we cannot. Some popular streaming sources are often overcrowded as lots of people access them at the same time. As a result, their overloaded server starts to behave erratically and you experience the Kodi buffering issues. This is something we cannot control, change or improve. But, the good news is that most Kodi add-ons provide the link to multiple sources for a particular video. So, if one source is too crowded, jump over to another one. This is likely to take care of the Kodi buffering problem. Kodi buffering issues have marred the user experience and continue to do so. Thankfully, we have some very effective solutions that either considerably reduce the instances of buffering problems or eliminate them completely. 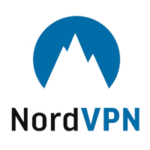 I probably cannot assert it enough that you must use a VPN while using Kodi. 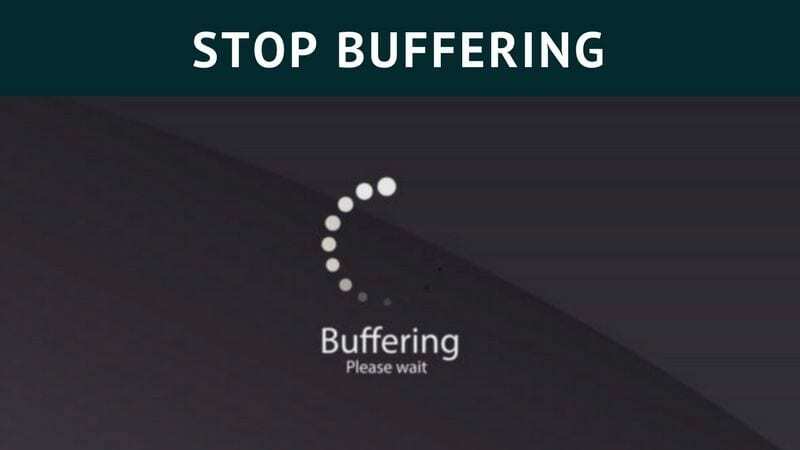 You will see a dramatic change in the buffering speed. Besides that, allocating bigger size to video cache and clearing the cache also play a very important role in resolving the issue. I hope the methods I have provided above helped you take care of your Kodi buffering woes. If none of the solutions work for you, I suggest you reset Kodi for a fresh start. Hi Brendan, go to the Chromecast settings in your Chrome browser and lower the Tab Project Quality to 480p. This might help. Seems to me buffermode is incorrectly explained. I believe it’s mode 0 thru 3. 1 is the default. Hi Ken, I just checked and Ares Wizard still has 4 buffering and 2 is the default. Ares wizard follows the different numbering system (1 through 4) than the document you have shared (0 through 3). Hence the confusion. does this work on TVOS? 4.1.2 What if I have a fast internet and still the problem persists?